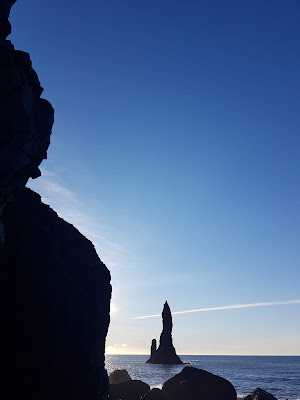 Readers, hopefully you’ve been keeping up to date with all my amazing adventures recently. 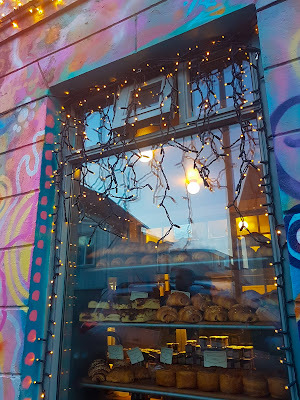 I’ve just done a 48 hours in Iceland post… and my top 10 Toronto eats has recently gone on the blog too… make sure you have a read! Tonight’s post, is all about how you can spend 24 hours at the amazing, beautiful and lovely surrounding area of Niagara. We did it… we hired a car, drove from Toronto on a gorgeous and sunny fall morning, in our Dodge Charger which took about an hour and a half… and thanks to a great connection, had a really good value room, on a high floor at the Hilton Niagara, where we had some good night time views. 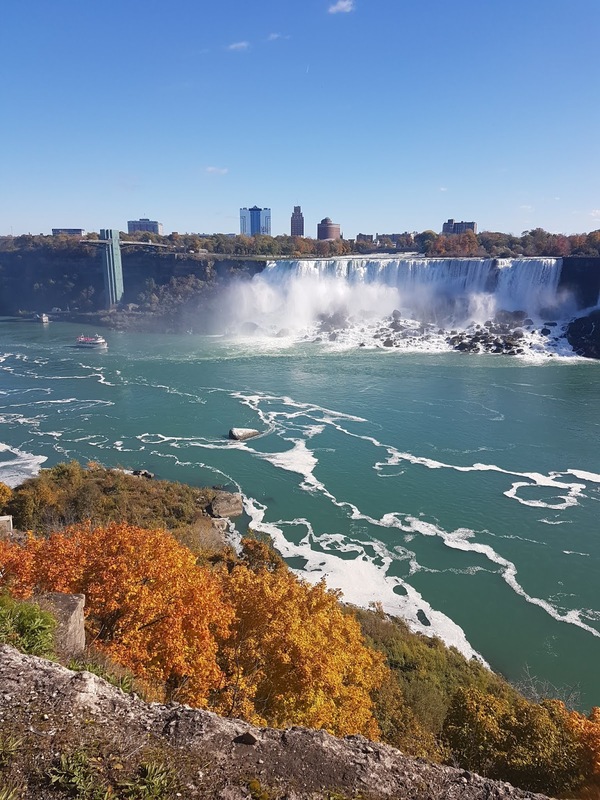 Niagara was an experience and if you’re driving, there’s loads of ways to fill a day and night in the area. Pick up your hire car and drive to your destination… there are LOTS of tours that leave from Toronto, however, we wanted some freedom to do our own thing. We arrived, parked up and immediately went to see The Falls. The weather was gorgeous, so we took a walk along, then the short hop funicular (it’s about 30 seconds) down to the visitors centre, where we booked ourselves onto The Journey Behind The Falls… fairly interesting, took around 30 minutes and allowed you to get up close for some great views. We then continued our walk alongside (Canadian side) down to Maid of The Mist, and took the boat ride… be warned, if you’re up front, you will get wet. Ponchos are required… not optional! 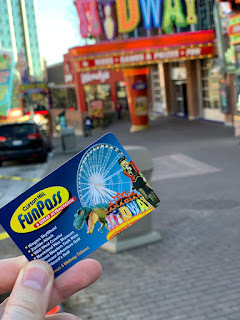 We then headed back into the town and thanks to the lovely team at Clifton Hill, who provided us with 2 Fun Passes which covered 6 of the attractions in the local area. We were able to amuse ourselves at The Canadian Midway for an hour or so – we went on the Ghost Blaster Ride, the 4DX Wild West Coaster which was great fun and played some arcade games (turns out I’m great at Bean Bag Toss) and air hockey. 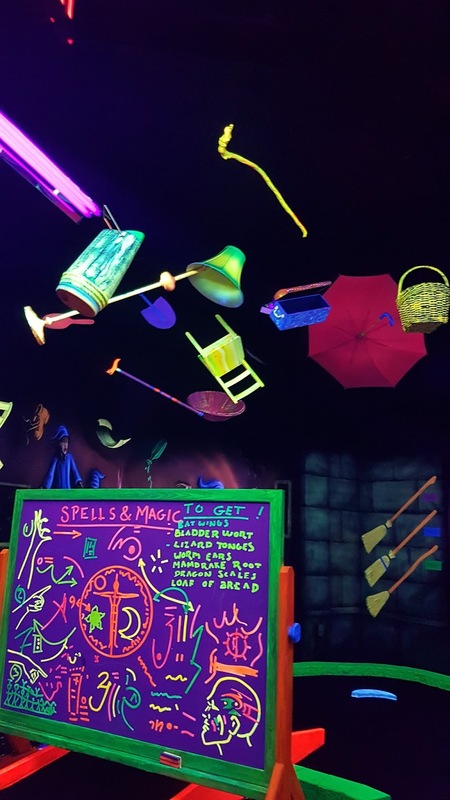 Passes cost $30 and covers 6 different attractions – great on a rainy day, or if you’ve got kids (or overgrown kids) to entertain. We were slightly perplexed by the whole Niagara Falls area… you’ve got this stunning natural attraction on one side, then a Blackpool meets Vegas meets Atlantic City type thing going on just up the road. In some parts it’s a bit dated, plus, we went in the off season, so the area was quiet. 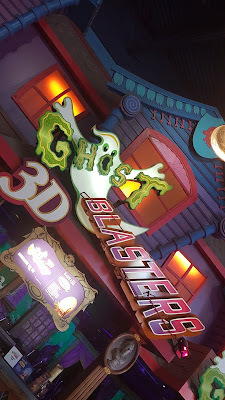 It was all a bit bizarre.. but never the less, the Fun Passes were great to amuse us.. and actually, we made the best of being there, having fun like 2 big kids. After a quick late lunch stop at Tim Hortons, we headed back to our hotel, with a massive in room jacuzzi and you guessed it, I watched the sun set from the comfort of my bath, with a large wine… we then took ourselves on a walk to the shops at Fallsview Casino and then went searching for somewhere for dinner… which turned out to be a bit of a struggle, if you don’t want to eat in a hotel or in a cheap, greasy chain. A lot of places were shut when we were there (Tuesday night in October) so perhaps something to plan ahead, otherwise you’ll end up in the Hard Rock Café, like we did. Not the worst, but not the best meal I’ve ever eaten. 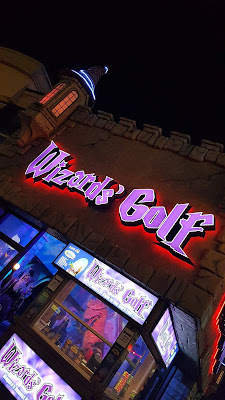 After dinner, we still had some activities left to do on our Clifton Hill Passes… first up (and honestly this was the most fun) we played Wizard's Golf… mini golf, in the dark, where everything is lit up in UV. 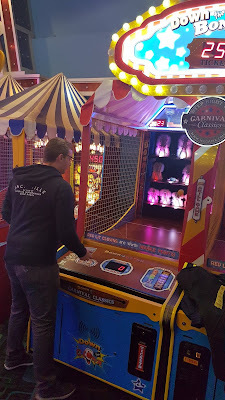 As usual, Mr What Claire Did managed to beat me, but we had a lot of fun. 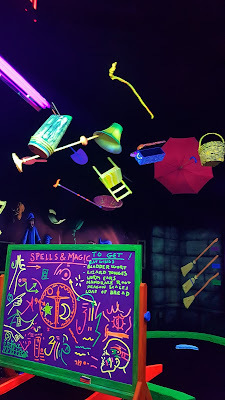 It was well done and different to the other mini golf we’ve played in the past. It also got us out of the cold for around an hour! 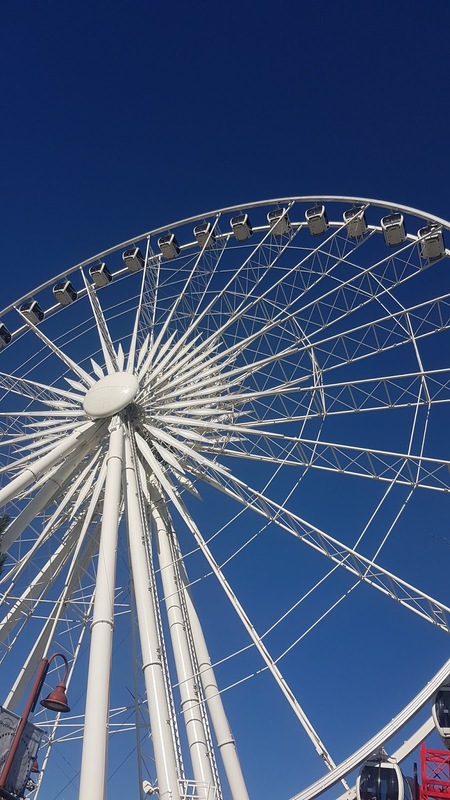 Next up, we went on the Zombie Attack 4D ride, before heading back to the arcade to claim our prizes from our ticket wins and take a trip on the Big Wheel which gave us great views over the Niagara area at night. Uber is active in the area, so you’ll get a cab back to your hotel fairly cheaply and easily. Our hotel didn’t include breakfast, so we were up fairly early and off on our adventures. Sadly the weather had turned, so we didn’t manage much outdoor exploring en route to Niagara on the Lake… we did however enjoy the views out the car window of some of the huge houses nearby. Keep change handy, as it’s metered parking in the town of Niagara on the Lake, which is really quaint with lots of shops and cafes. Sadly, the rain was so heavy, we didn’t spend much time there, but we got the feeling it would be lovely in summer. We did manage to find a lovely looking local place called Sunset Grill for breakfast. The staff here were so lovely and we got a table in the window.. where we watched the rain bounce off the pavements! 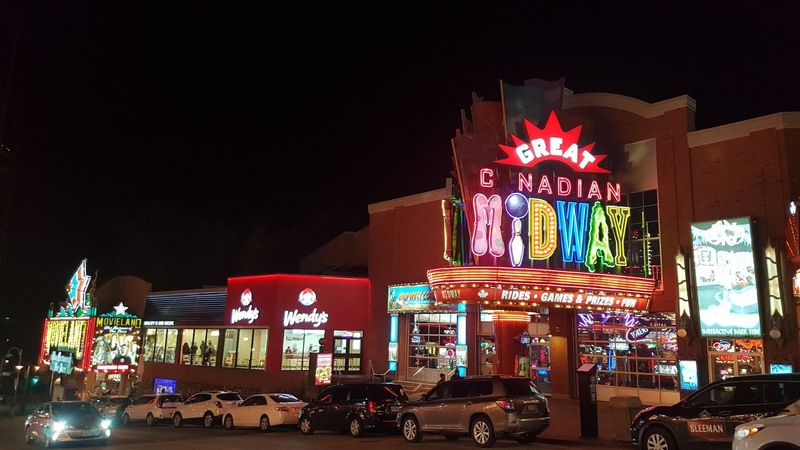 From our very damp visit to the local town, we were soon back in the car and headed to the Outlets at Niagara… this is well worth a trip, if you are into your brands and shopping. There were so many great stores and at the moment, the exchange rate between the UK and Canada, is decent, we got some great bargains… much better than the US had been for shopping earlier in the year. 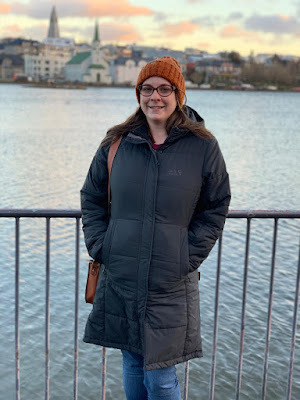 I left with some sports gear from Nike, a bag and credit card holder from Kate Spade and a Ralph Lauren jacket… as well as some goodies from Bath and Body Works… a store we don’t have here, but I love! 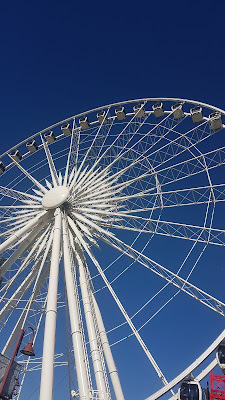 Allow yourself around 3 hours to have a good look around the Outlets and if you’re looking for something a bit different, stop by The Bass Pro Shop before you drive back… if you’ve never been in one before, I can only describe it as something very different. Before we knew it, it was 4pm and time to drive back to Toronto to return our rental car. The drive back also had a great moment, on approach to the city, where the whole skyline appeared in front of us. 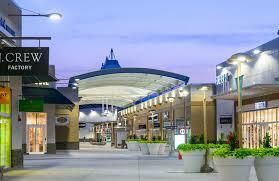 It looked absolutely beautiful and furthered my love for this cool city. 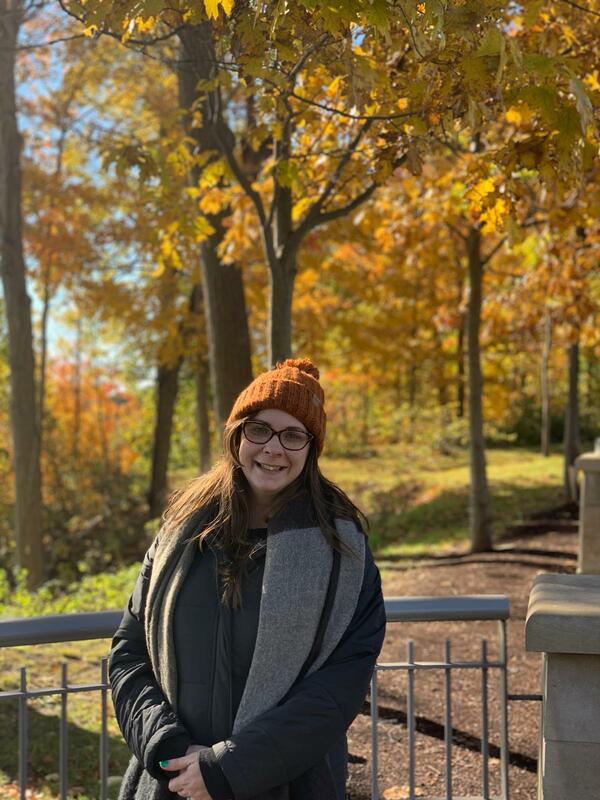 Have you been to Niagara or Niagara-on-the-Lake? If so, what did you love? Disclaimer: I received 2 fun passes complimentary from Clifton Hill to use during our time at Niagara. Any opinions expressed are my own. Readers! I’m back to it again tonight with the latest in the travel series. As you’ve all probably seen over on Instagram, we’re just back from a 10 day trip to Iceland and Canada . We had an amazing time, but most of all, lets address the food in Toronto. It was AMAZING. It’s such a multicultural city so you can literally eat anything at any time of the day. Any cuisine, any way, any price. 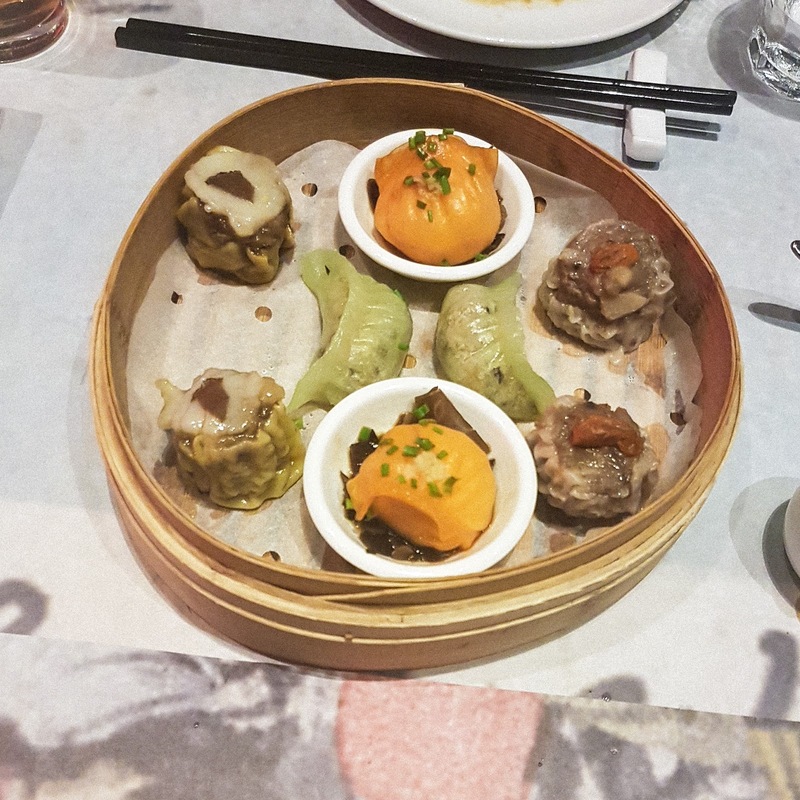 We really managed to eat our way around the world over the course of a week. 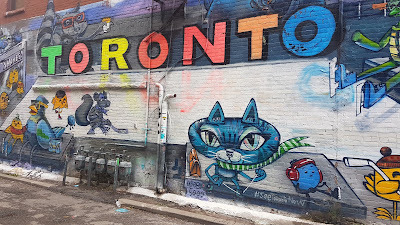 I’ve tried to pick out some of the trip highlights below and have linked up to their website or social pages where I can… If you go to Toronto, be sure to check out some of these great spots. And let me know! You’ll find this sweet little burger spot on College St in Little Italy. 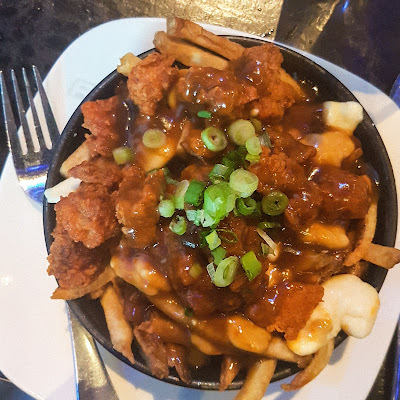 The guys were really welcoming, the poutine was spot on and the fed and watered us when we arrived after a transatlantic flight. We also watched The Leafs game with the staff (first one of three that week) cos Canadians are really friendly like that. Toronto based chain, also found on College Street (and other locations around the city). 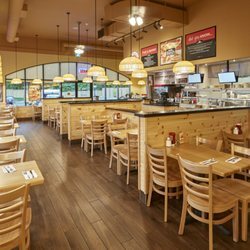 Big, hearty filling brunch, incredibly welcoming staff, bottomless coffee if you want it and big… massive…. You’ll find it inside the Soho Hotel. Chef Susar Lee’s Chinese restaurant has a hip, stylish interior and great food to go with it. Susar Lee started as an apprentice at The Peninsula in Hong Kong and has been on the tv show Chopped Canada. The dim sum is amazing. 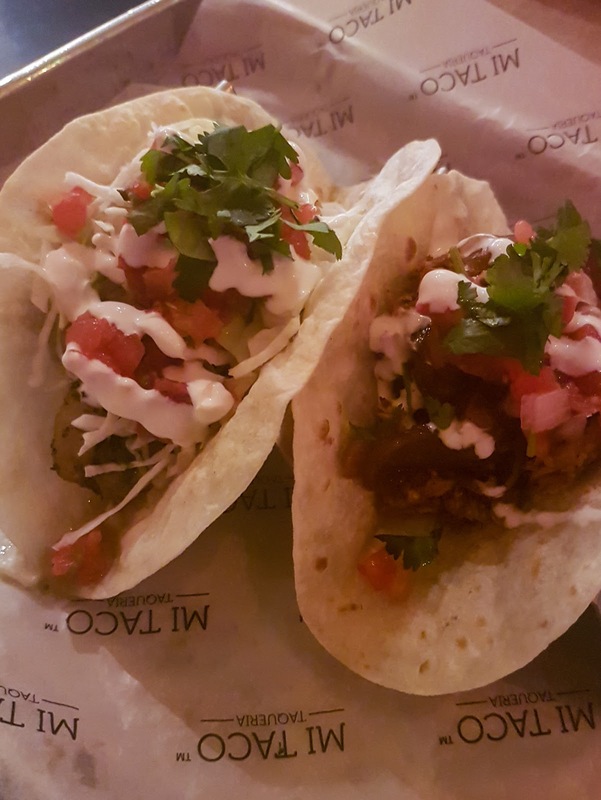 You’ll find this tiny taco joint in downtown Toronto. We fell on it by chance after a trip to Michael’s craft store when we were starving at lunchtime. Freshly made, great value and filling. Popular with the locals who drop in for a take out lunch. Seating is available at the back. Canada’s No1 restaurant. That’s probably all I need to say. It’s booked out weeks in advance and we managed to score a table by booking on the hour the 8 week slots are released. Was it epic? Yes. Was the wine flight worth it? Absolutely. Was it value? For the standard of food and service, it’s cheaper than some of the other big city tasting menus and packed a punch. We left, full, delighted and longing to go back. A sports bar? Really? This was like no other sports bar we’d ever been in. Ever. It was massive. We went before The Leafs game to enjoy the atmosphere and loved it. 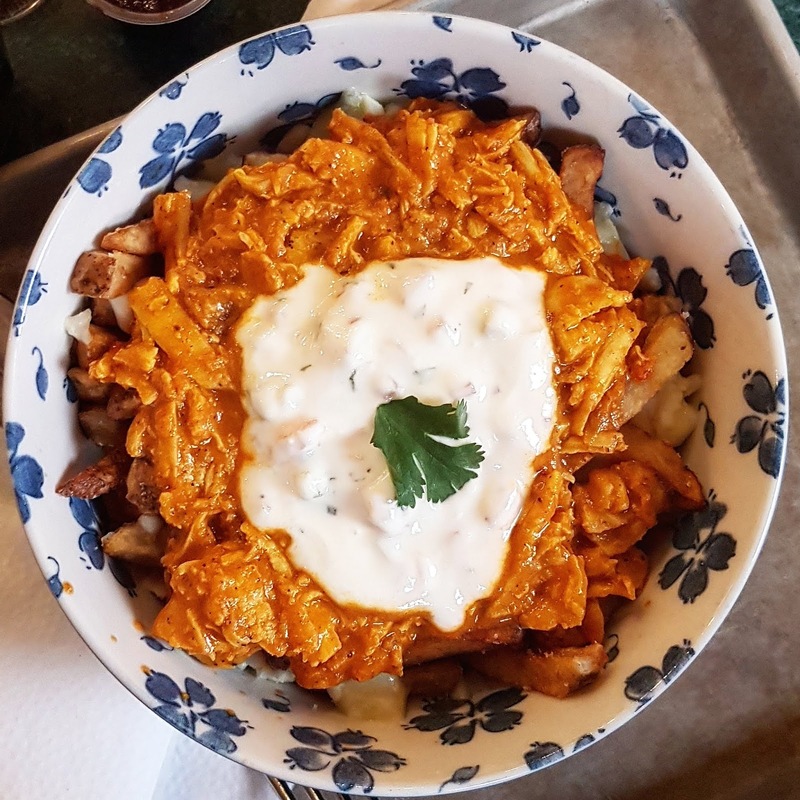 Huge screens, massive bar, friendly staff and a big menu of bar food… Recommended… the buffalo chicken poutine. You’ll find in the Kensington Market area. A lovely café with a Japanese inspired menu. 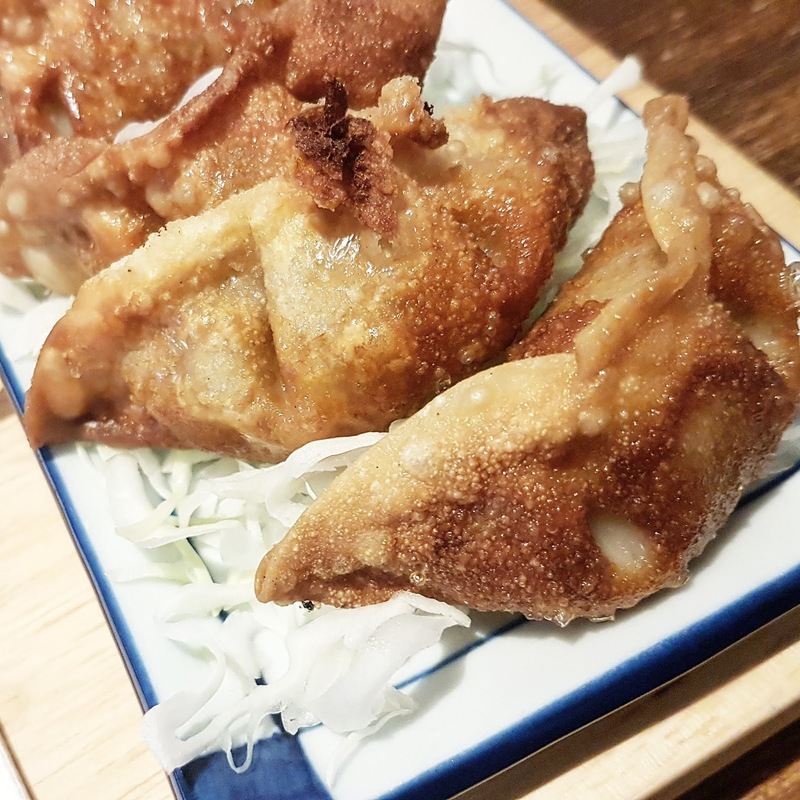 We sheltered from a very rainy Toronto day in here, when we were done with the dampness of the city, a steaming hot rice bowl and gyoza awaited. Oh and they do gold leaf ice cream, if you're interested. Christina Tosi’s place in the Shangri La Hotel. 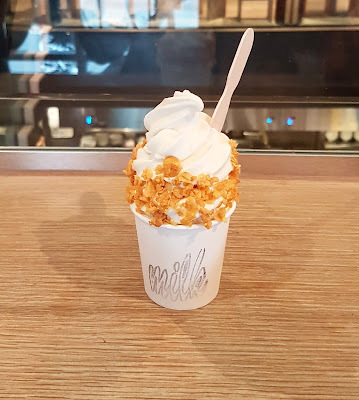 We’d been to Momofuku in Vegas and were too full for Milk Bar afterwards, so I was determined to go… take note, it’s very different from the Vegas “counter” experience – it’s a refrigerated glass box, with a few benches outside and the ice cream machine is downstairs. 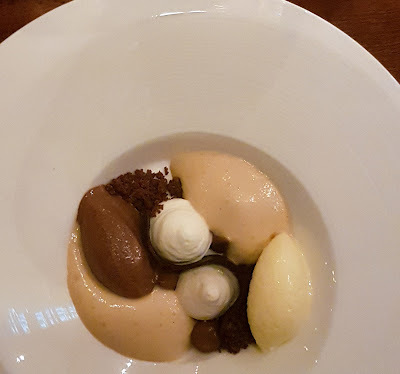 I had an iconic cereal and milk ice cream and loved it, but… the overall experience wasn’t quite what I’d hoped for. Worth a visit, even just to see the inside of the hotel! Again, another place we stumbled upon for lunch. A lovely food/cookshop/deli type store, with a small café space at the front, making wholesome and delicious food. The chilli bowl smelled amazing and I enjoyed butter chicken poutine – think chips, cheese curds and slow cooked butter chicken curry on the top. Well worth visiting, reasonable prices and it’s cooked freshly for you. And lastly, for the ultimate foodie experience, take a trip to St Lawrence Market. You'll thank me for this. 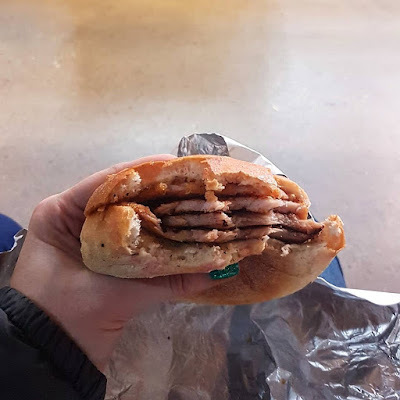 Every food experience you could wish for, under one roof... and make sure to stop by the Carousel Bakery for a Peameal Bacon Sandwich... buy one between two, so you've space for more! We have finally been off on our travels again, after what feels like an age. First world problems, I know. It's actually only been five a months since our last big trip and I've honestly got nothing to moan about. This year we've been to the Dominican, Florida, Vegas and done some UK breaks too. I'm fortunate that my job has a great leave policy so I'm a big fan of disappearing off as soon as the dates go in the calendar. 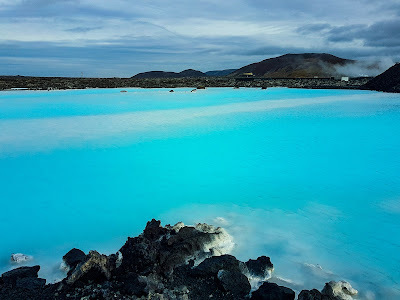 Our Iceland trip came about by chance. We had booked flights to Canada on a flight promo with airline that's now bust. The Airbnb was booked and paid for, so pulling out wasn't an option. 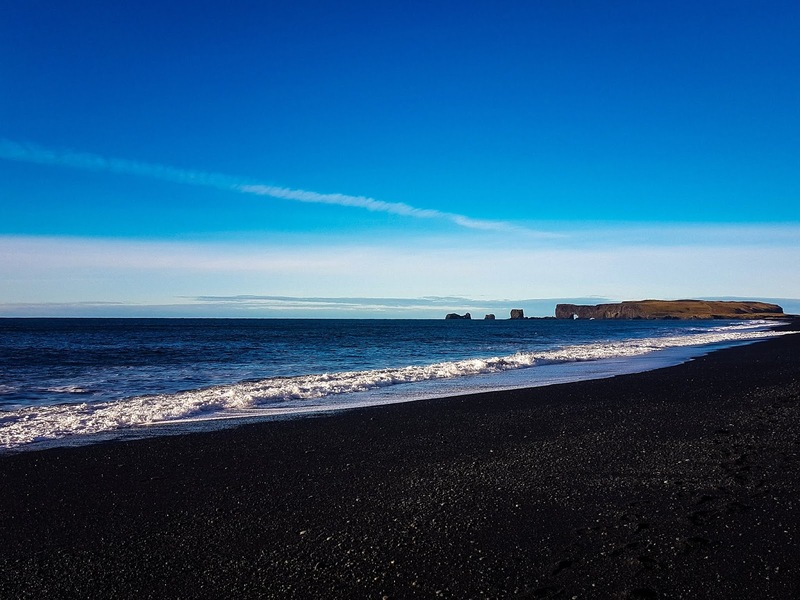 Cue making the best of the situation, taking the call to re-book with Icelandair and throwing in a forty eight hour stopover in Iceland to our trip. Here's why it's brilliant folks, it costs you no more to stopover, than it would with a regular short layover. Well played Icelandair. You had us hooked on that alone. The whole thing was super efficient, from leaving Glasgow airport with an quick boarding process, being away on time and being through at the other side in 15 minutes. Half an hour after landing we were in our rental car, headed for our apartment. We chose to stay at the superb Blue Mountain Apartments, 20 mins from Reykjavik. Granted, you'd probably need a hire car to stay there, but it was a great base for us. For around £100 a night we had a good sized studio apartment, with kitchen, shower, big bed and a corner couch. It meant we had space to chill, which was nicer than a hotel room, and cheaper. We were in and out, headed to Reykjavik in "Pît the Polo" - so named after our old car, Pete, who was deported to England last year. 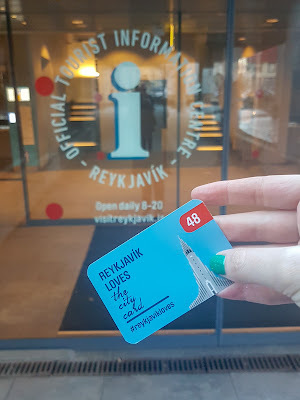 We managed to get into town for around 5pm, when it was still light, found free parking no problem near City Hall and headed to pick up our City Cards, kindly provided by Visit Reykjavik. We were given forty eight hour cards, which usually cost £34 per person and provide free entry to numerous attractions, free bus travel around the city and free entry to a number of the thermal pools around the city too. You could even take a free ferry trip, however, we struggled to find the time to do this. We picked these up from the City Hall, which is really easy to get to. These were a brilliant resource to help us plan, the map was super useful with the attractions all marked up so we could easily see what was nearby. We walked around the city, went to see the Hallgrimskirkja Cathedral, which is a work of art. We made it to Braud and Co for a cookie. I have lusted over these guys on Instagram for so long and the cookies were good! 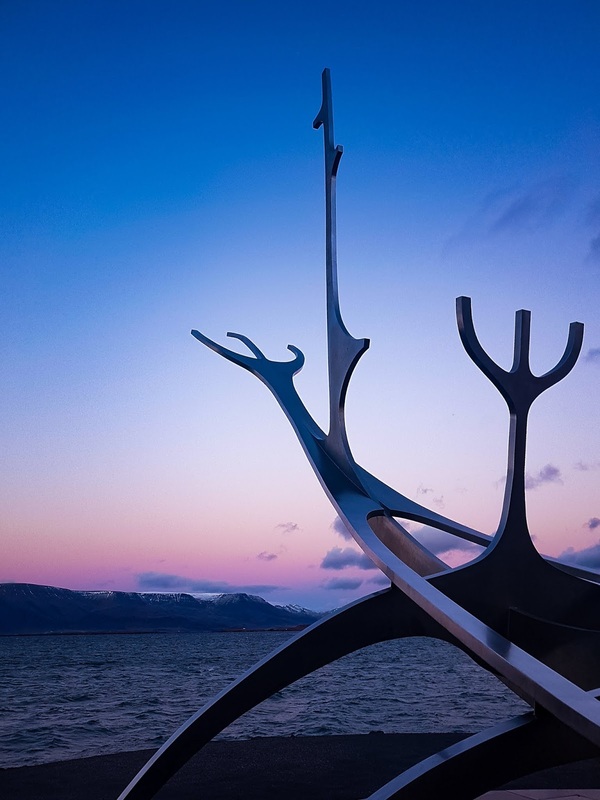 The Sun Voyager sculpture and the waterfront was next. It was getting dark, so we went back to the city centre, walked around some of the boutique stores and stopped off for an obligatory hot dog at the Hot Dog Stand. We left the apartment at 7am (early for us as we are night owls!) 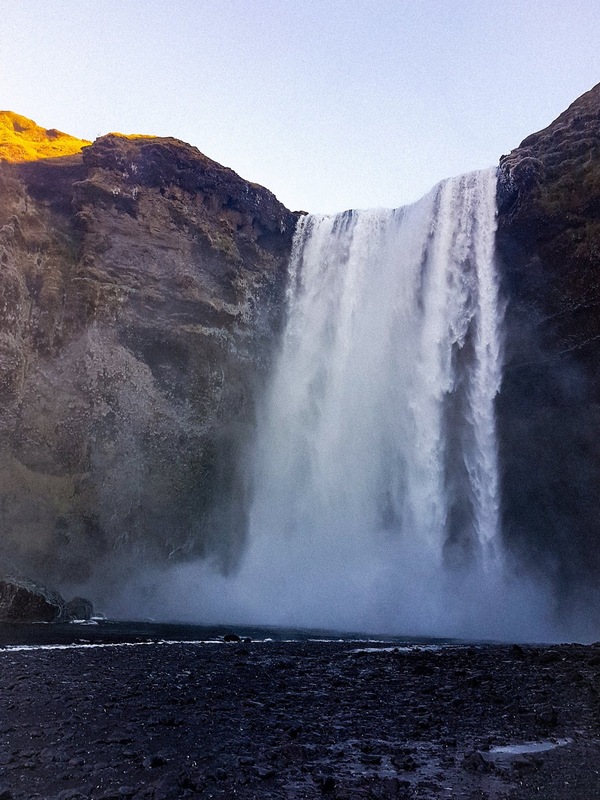 and jumped in the car for the 2 hour drive to Skógafoss. Thankfully, we got there before the crowds and could take some amazing photos of the falls. We hiked up the 527 steps to the top, for the view around and were so lucky to have a beautiful clear day. 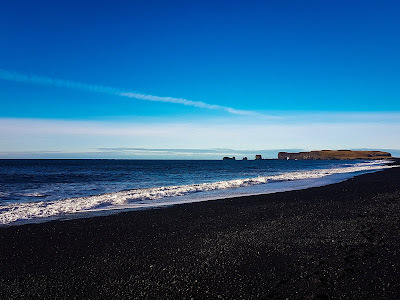 Back in the car, off we went to The Black Beach. It's beautiful, unspoiled and rugged and I would definitely suggest it makes it onto your to do list. We then drove another 2 hours to go to The Geysir in Haukadalur Valley.. a word of warning, it's a big tourist spot, so prepare for hoards of people. We were probably there for less than half an hour, so think carefully before you decide to drive to it. It is amazing to watch it go off though... for the 11 secs of footage you'll see on my Instagram. What was almost better than this, was the 1h 40 mins drive back to Reykjavik through the national park. Beautiful, autumnal and driving through the valley with the snow peaked mountains around us was spectacular. 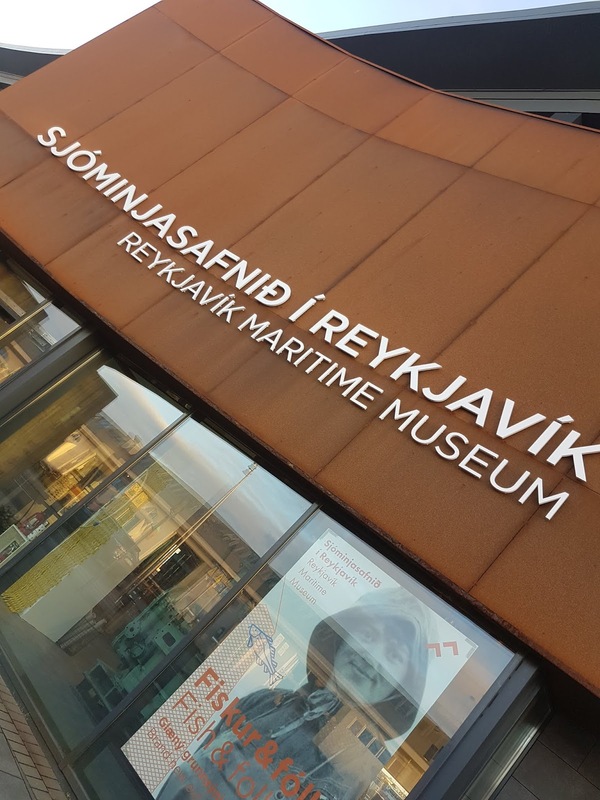 Not ones to mess around, we were back to the city and using those handy city cards for a trip to the Maritime Museum, which was really interesting and also interactive. From there, it was a trip to the Museum of Photography which might not seem an obvious choice, but the exhibition was beautiful. It's also located on the top floor of the library, in case you struggle to find it... Our city cards gave us free entry to both of these. 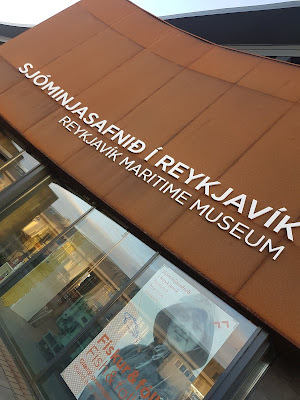 By now, we were growing tired and hungry, the wind was biting and we decided to call it a night, heading to the warmth of Reykjavik Fish at the harbour for a delicious fish and chip dinner. Our apartment provided a cosy haven after a day in the outdoors and we enjoyed some local beers, and Gin&Grape catching up with a day's worth of editing. After our second night it was up and away for a trip to The Blue Lagoon. Now, it is expensive and was our "splurge" during our stay. Heck, it's also really touristy. But all that aside, was it worth it? Absolutely. We chose the "comfort" package, which included a towel, free drink and mud mask. We spent just over 2 hours in the Lagoon, which felt enough. Even though we went on a Saturday, it didn't feel packed. We were able to find several spots around the Lagoon to chill out. Don't forget to try out the face masks and cover your hair in conditioner before you get in, to keep it super soft. The drink included was a welcome treat and as it was a morning trip, I went for a smoothie made with berries and Skyr. 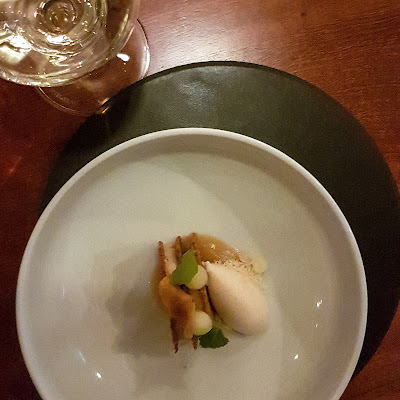 We did have a quick look at lunch in the restaurant but felt at £42 for two courses, it was a bit steep. Instead, we jumped back in the car and headed back to the airport to return our rental car and check in for our flight to Canada. Our airport lunch was less glamorous, but at half the price, it did the job pre-flight. 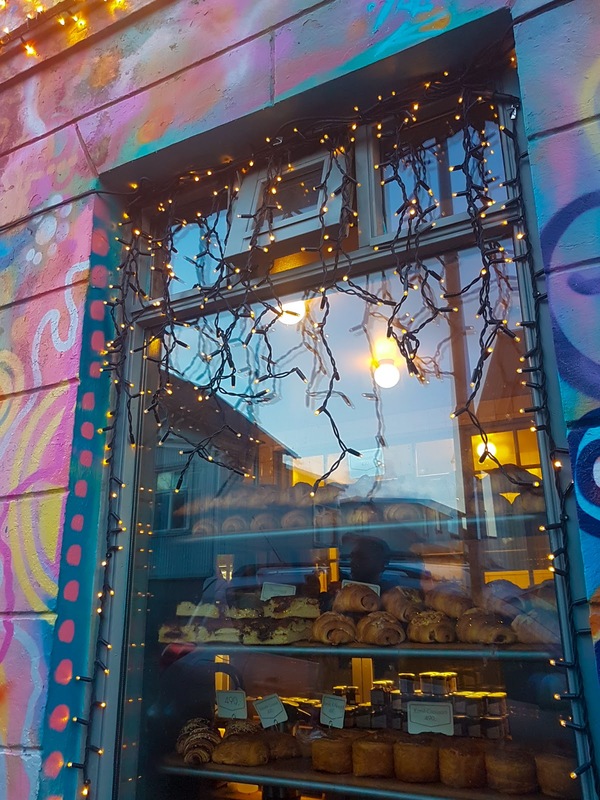 It was a flying visit to Iceland, but we managed to cram in so much. I'm planning an "Iceland on a budget" feature soon, so keep an eye out for that! Disclaimer: our city passes were provided complimentary by Visit Reykjavik.